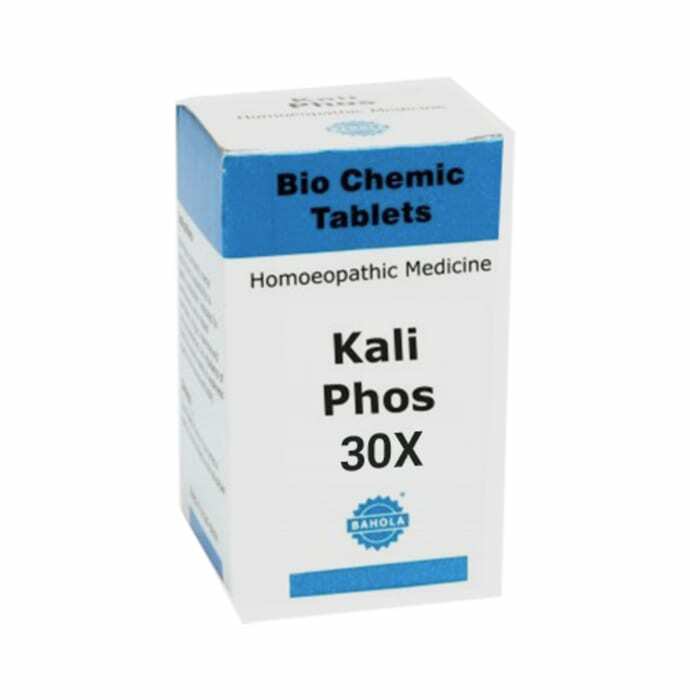 Bahola Kali Phos Biochemic Tablet is an essential body salt that provides relief from stress and nervous tension. It helps in curing muscle and nerve weakness, nervous indigestion, depression, anxiety, insomnia and headaches. Biochemics are also recommended in correcting deficiencies at the cell level and hence are called cell salts or tissue salts. These tablets are flavourless and dissolve immediately without water and does not upset stomach.